Eternal Kingdom, are you prepared? 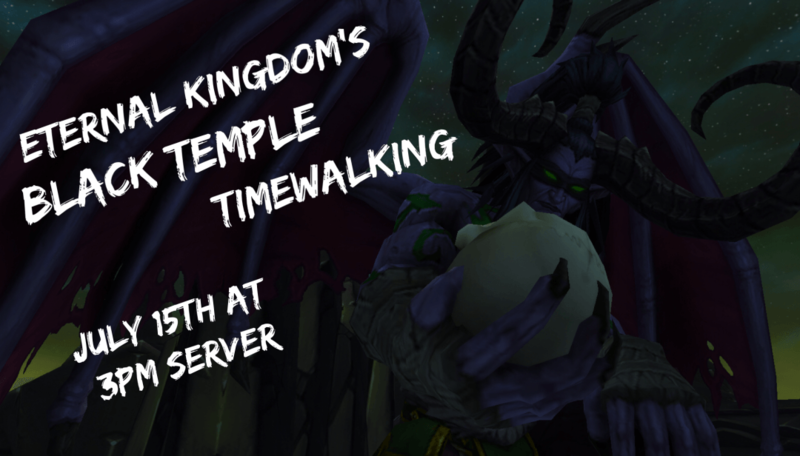 July 15th at 3pm server is the official EK Black Temple Timewalking run! Requiem makes fish food of Harjatan and their eggs. The baby merlocks were saved!! 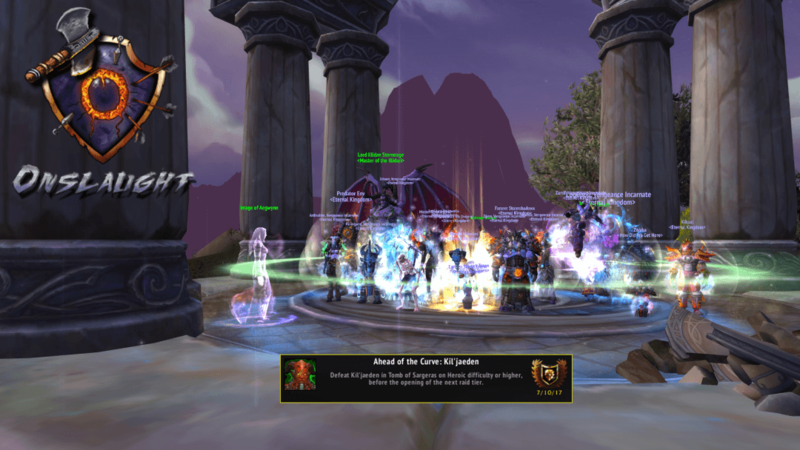 [F]orce(ed) our way through Kil'jaeden! 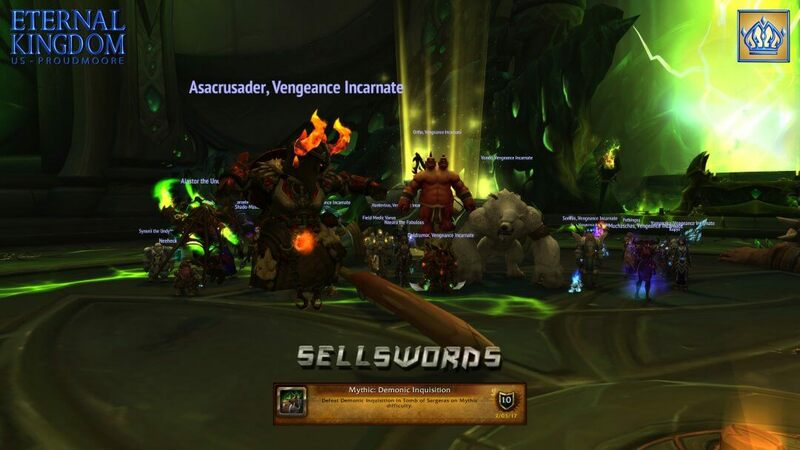 Requiem smashes through Mythic Goroth! As always, thank you to Krypt for the epic video! Really big thanks goes out to Krypt for making all of our awesome videos! This one is definitely a reminder that when the bosses get tough, something will always happen to lighten the mood! 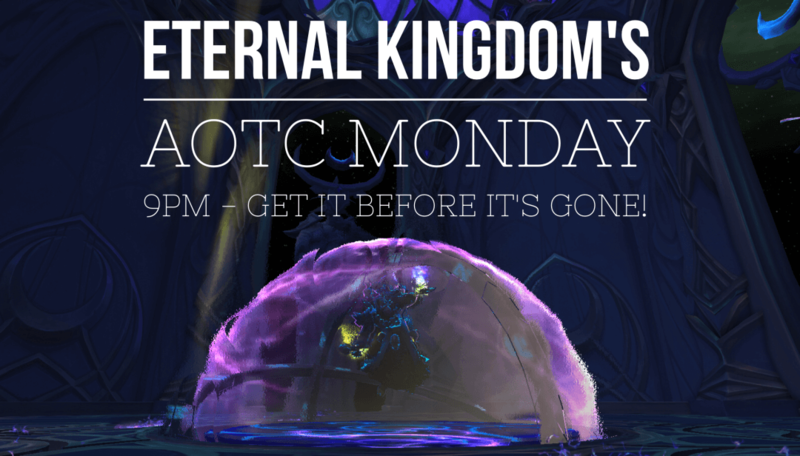 AOTC Monday - Get it before it's gone! 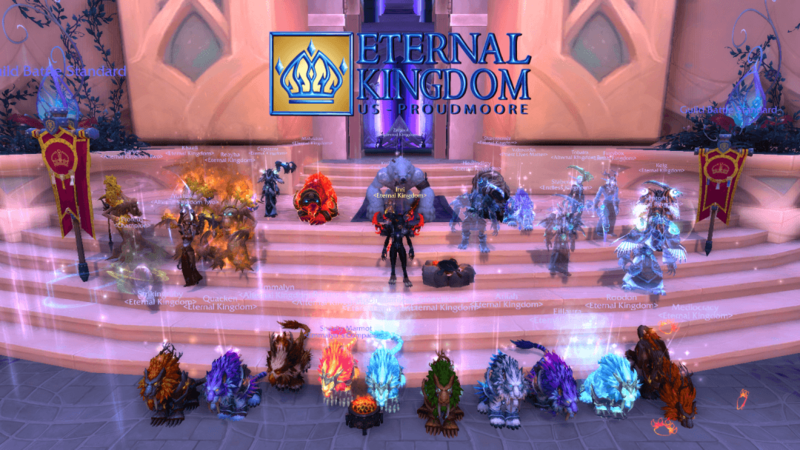 Eternal Kingdom, Monday’s the final night to get AOTC for Nighthold! 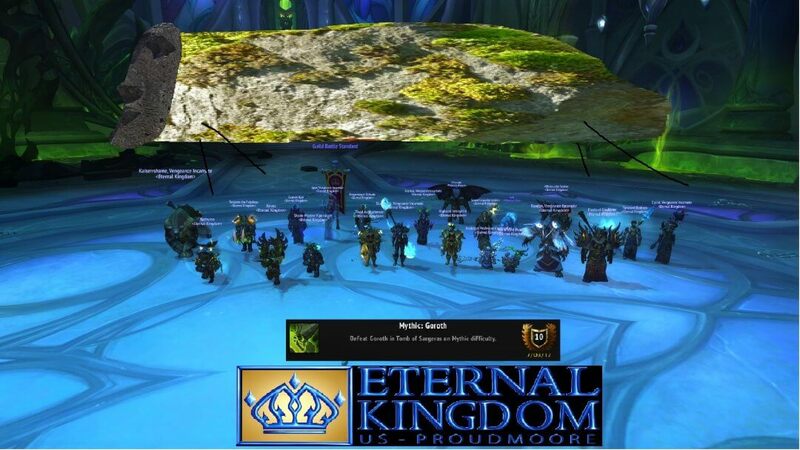 At 9PM server on June 19th Zate will be hosting AOTC runs for the guild. Whether you can help out or you still need the achievement, please visit the forums and sign up! Tichondrius Festered and Died Thanks to Imperium! For this kill we have to thank Nover for his help for this kill. 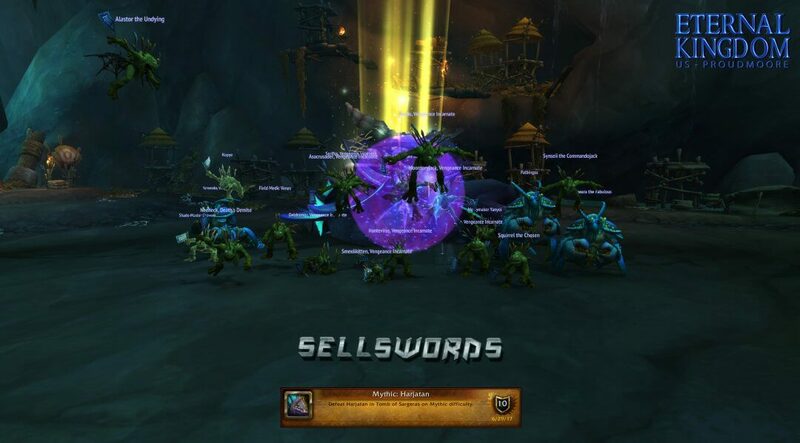 A shout out goes to Gltch and Allaloni who put in a lot of the work and didn’t get to be part of the kill shot. 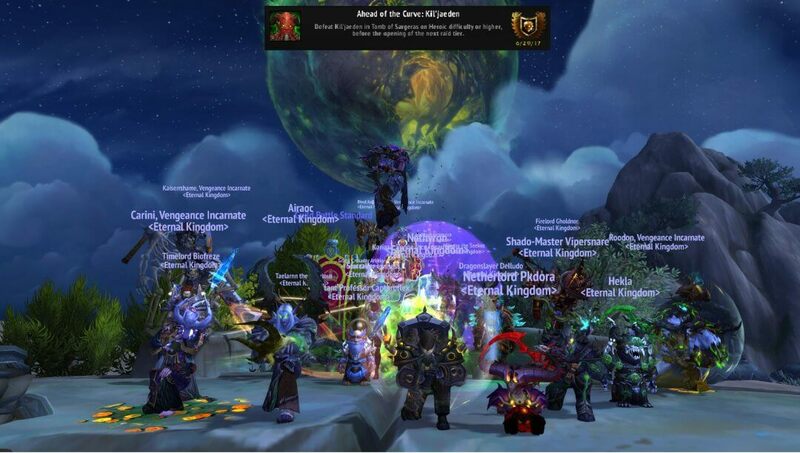 We met our goal for this instance and we hope to clear Mythic in full during Tomb of Sargeras! 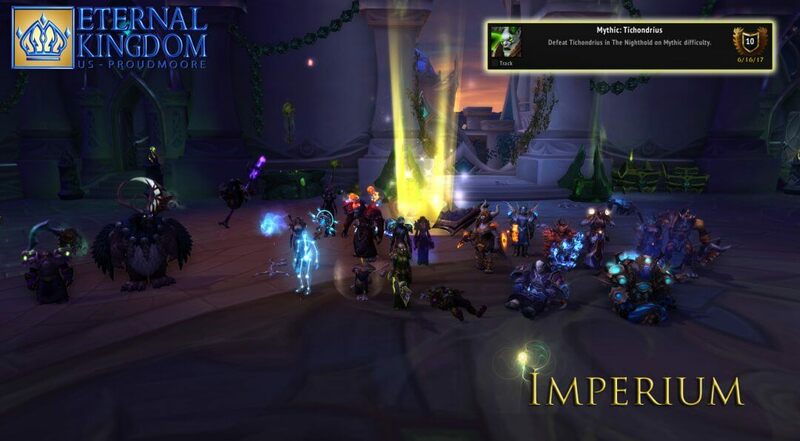 Imperium has only begun!